JAKARTA. 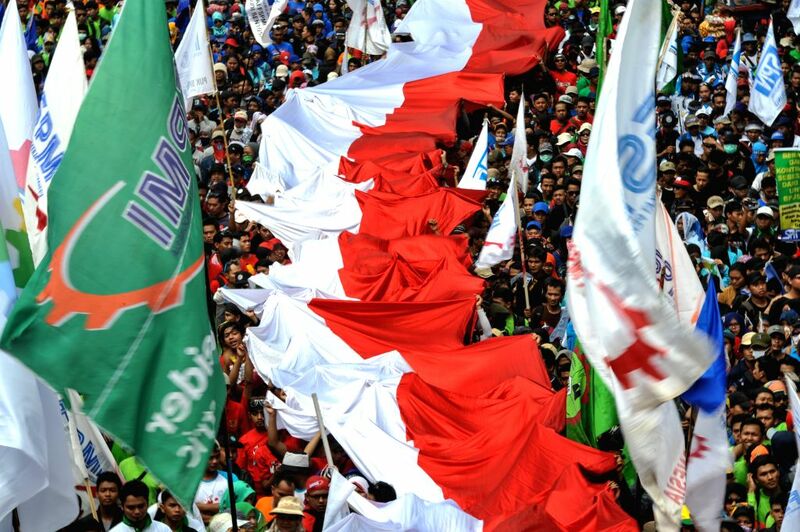 May 1, 2015 (Xinhua) -- Labors carry a giant Indonesian national flag during a celebration marking International Labor Day on Thamrin street in Jakarta, Indonesia, May 1, 2015. 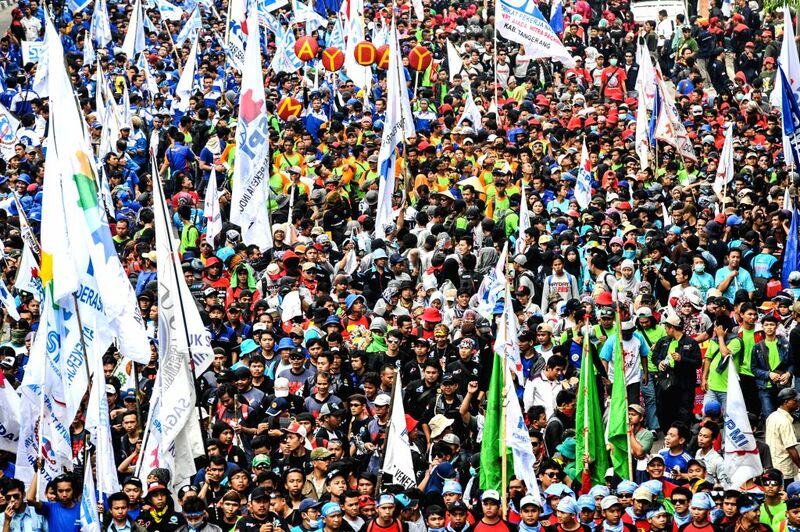 More than a hundred thousand of Indonesian labors gather at the main street in Jakarta and parade to the President Palace to celebrate International Labor Day. JAKARTA. May 1, 2015 (Xinhua) -- Labors walk on the Thamrin street during a celebration marking International Labor Day in Jakarta, Indonesia, May 1, 2015.